​ In the meantime, we are taking custom orders. Shoot us an email if you would like something made. "LIKE" us on Facebook and check back often to see what's new. 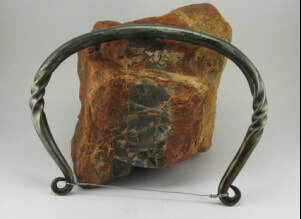 When purchasing an item from Hobble Creek Forge you are buying a handcrafted work of art of true value. Each items has been made with the highest quality that will last several lifetimes. Each item is hand-forged using the same traditional methods that have been around for centuries. Forge, anvil and hammer are used to move each individual piece of hot iron to shape to create a unique item that can't be found in any store. Attention customers: Please review our Terms & Conditions before purchasing our items. We are continually adding new products so be sure to check back to see what is new!